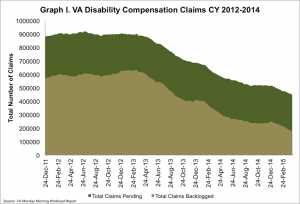 On Monday, the VA reported that the disability compensation claims backlog continues to decrease, as do the number of total pending compensation claims. While the backlog has decreased by almost 5,700 claims, there are still about 176,000 veterans who have been waiting over 125 days for a VA claim decision. 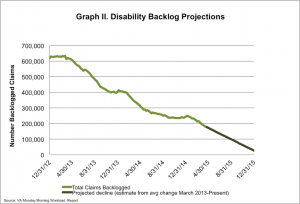 The number of total claims pending has decreased by 6,600 since last week, and now stands at about 448,000. To eliminate the VA backlog by the end of CY 2015, the VA must reduce the number of backlogged claims by about 4,200 per week. 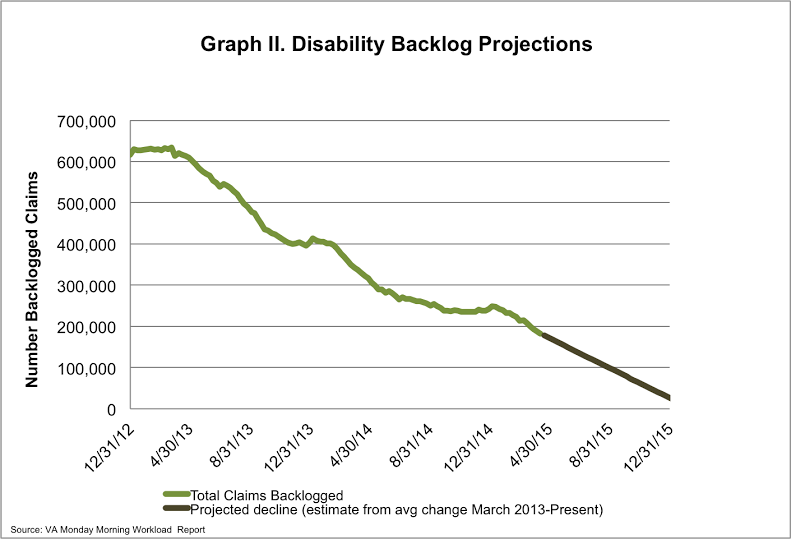 Since March of 2013, the backlog has been reduced by more than 72%, with about 4,100 claims processed weekly. 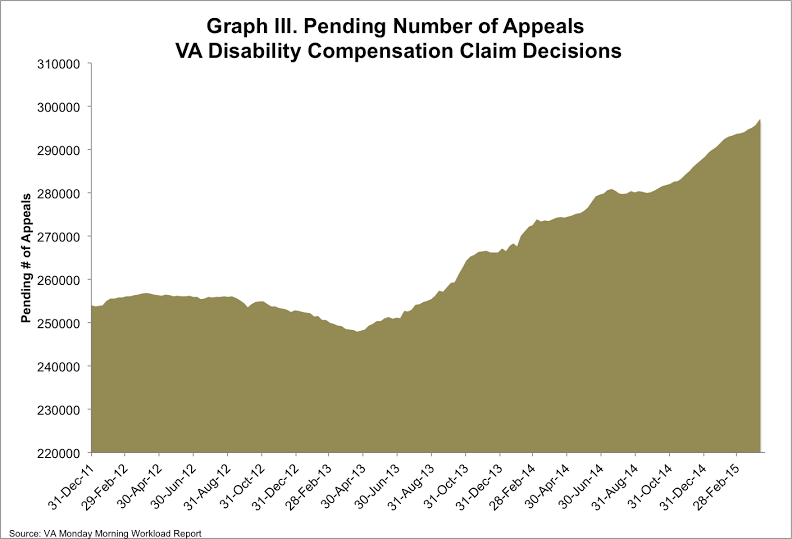 While there is steady progress on reducing the VA backlog, there are still concerns about the rising number of appeals. There are now almost 298,000 veterans waiting for appeals, and these numbers have been increasing every week. Because many veterans wait much longer for appeals than initial claims, VA leadership must continue to work to reduce the number of appeals and increase the efficiency of the appeals process. In addition to the challenges of the disability compensation process, some veterans face difficulties gaining access to healthcare. This March, IAVA launched The Wait We Carry, a website highlighting some of the health and healthcare challenges faced by our nation’s veterans. More than 1,800 veterans have shared their stories with us already, detailing experiences with VA and private healthcare and appointment wait times. 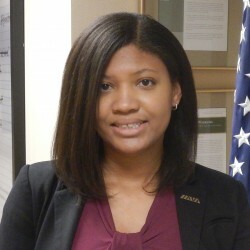 If you are an IAVA member and would like to share your story as well, please click here. If you are not yet an IAVA member, click here to join.